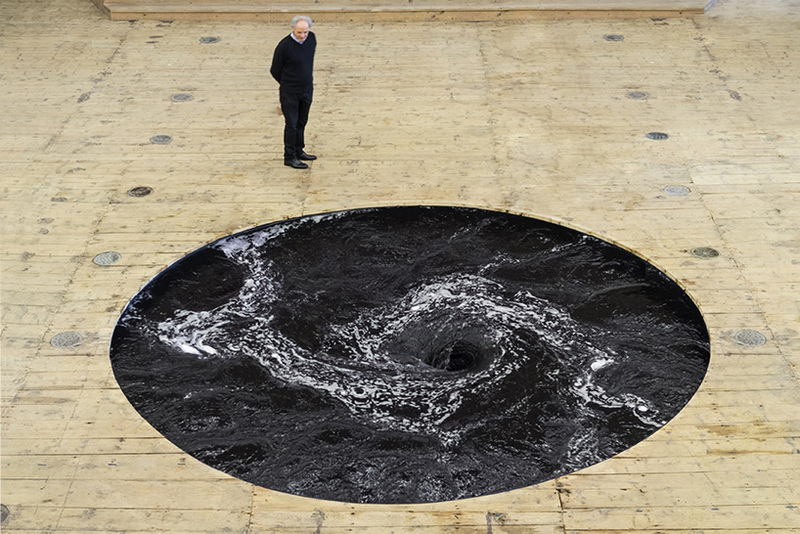 British artist Anish Kapoor will bring Descension to Brooklyn Bridge Park. 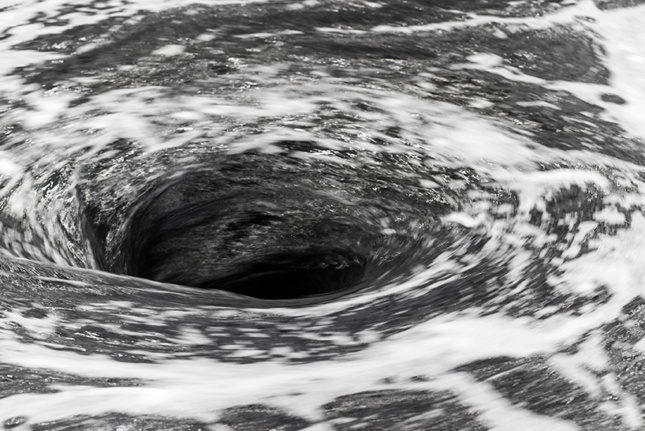 The work is as dystopic as its name implies: A dark whirling funnel of water will descend down into an abyss, adjacent to the East River at Pier 1. 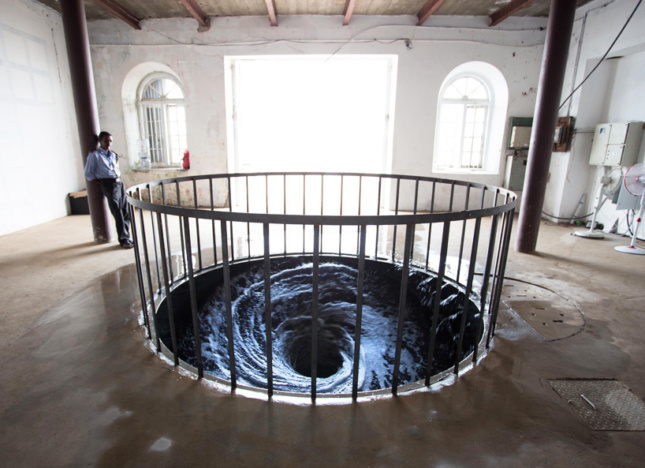 Descension sees Kapoor’s desire to coalesce negative space and energy finally realized, coming in the form of a 26-foot-wide whirlpool. To create the dark look, an all-natural black dye will be used to evoke the sensation that the water’s journey is never-ending. Perimeter railing that traces the pool’s circumference will stop audiences plunging into the illusory chasm, but will allow them to peer over, perhaps creating a swirling sinister phone-swallower in the process. The concept was first conceived in India (Kapoor’s country of birth) at the Kochi-Muziris Biennale that ran from 2014 to 2015. There he exhibited the work as an interior piece, though later he furthered the idea in Versailles, France, exhibiting Descension as an outdoor work. 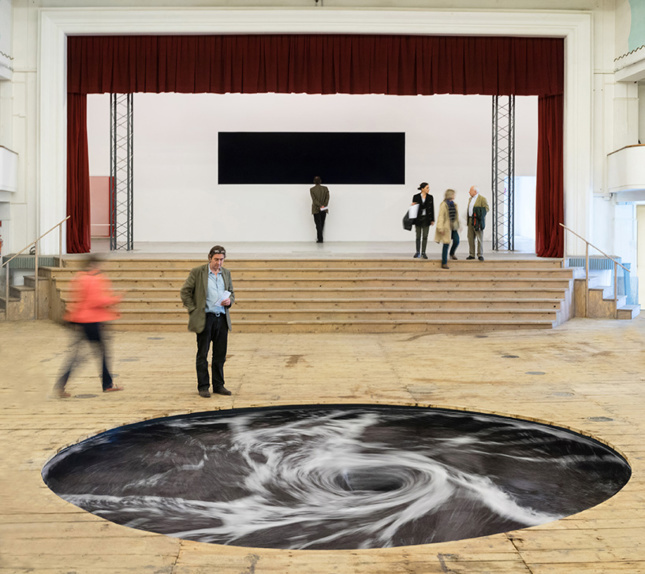 Descension has also made an appearance in Italy where it was exhibited inside the Galleria Continua, a disused cinema theater. The Public Art Fund—a non-profit arts organization which receives public and private support—is celebrating its 40th anniversary this year. “We’re thrilled that Anish’s newest work will be a highlight of this anniversary season, more than a decade after his outdoor debut with us,” added Baume. Descension will be on view from May 3 to September 10 this year.